On 4 May 2017, RCH1000 celebrated its proud association with RCH research with a special visit to the hospital. 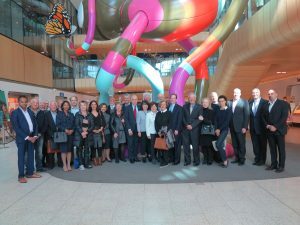 Members received a private tour of RCH Laboratory Services, getting an inside look at how the labs work, followed by a lunch at the RCH Foundation. 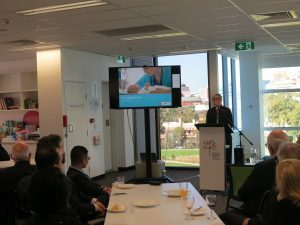 Hosted by Chairman Barry Novy OAM, the lunch featuring guest speaker Professor Fiona Newall, Director of RCH Nursing Research, who shared the importance of bedside research at the hospital. 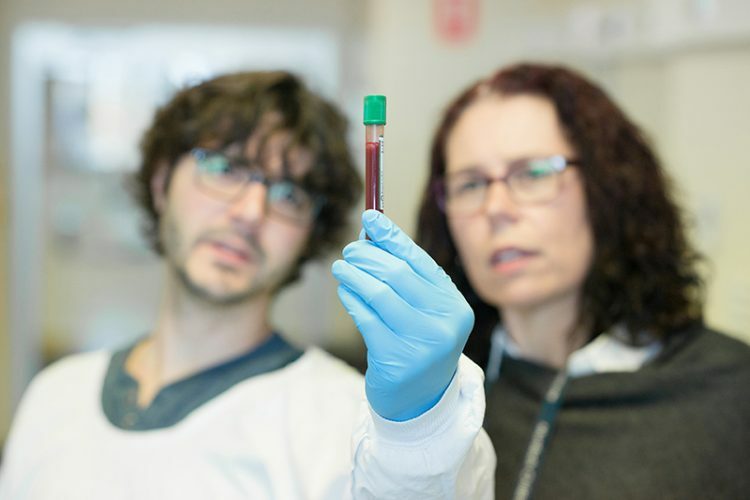 RCH Laboratory Services provide a comprehensive range of diagnostic testing and clinical and consultative services to the RCH, The Royal Women’s Hospital, and other healthcare providers. Open 24 hours a day, 7 days per week, Laboratory Services work nonstop to ensure our sickest children receive the best care. 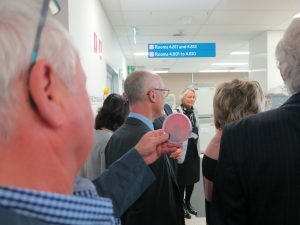 Associate Professor Andrew Daley, Director of Microbiology, and Mahtab Minai, Laboratory Services Strategy and Operations Manager toured RCH1000 across the labs, discussing the range of testing provided and how the results are utilised by the clinicians to assist with patient care. They shared insights into the future of laboratory services and the technology needed to continue advancing their work. This is the first stop for specimens arriving at the lab. A courier service and a pneumatic tube system assist in transporting specimens efficiently from around the hospital. Specimens are checked and matched with test requests forms and then directed to the specific lab responsible for the requested testing. 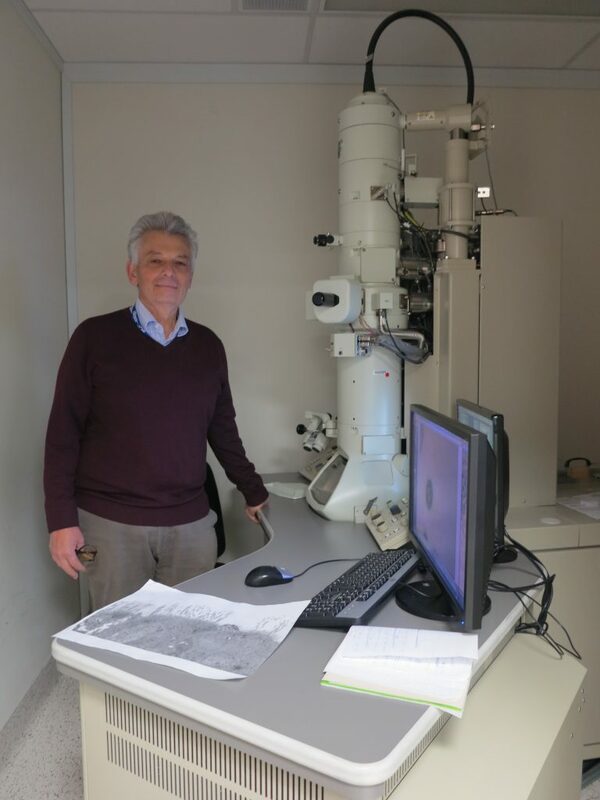 Anatomical pathology is a branch of medicine diagnosing diseases through macroscopic, microscopic, biochemical, immunologic and molecular examination of the body’s organs and tissues. 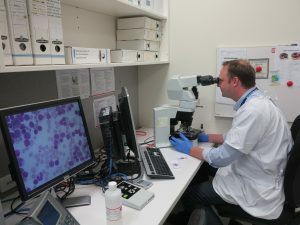 RCH Laboratory Services offers a full diagnostic service for routine histopathological testing, which is the examination of a biopsy or surgical specimen under a microscope. Haematology studies the cause, diagnosis, treatment, and prevention of diseases that involve the blood or blood forming organs like bone marrow. RCH Laboratory Services provides clinical and diagnostic services relating to both malignant haematological conditions like leukaemia and non-malignant conditions like aplastic anaemia, a serious disease of the bone marrow, and clotting disorders like haemophilia and deep vein thrombosis. Biochemistry studies the chemical substances carried by the blood, like fats and sugars. The RCH Laboratory Services perform highly technical and scientific examinations for RCH Endocrinology and RCH Gastroenterology. These tests can confirm the level of liver, kidneys and bowel function, as well as detail hormone levels in the body. Microbiology is the study of microorganisms, like bacteria, fungi and viruses, and their effect on people. RCH Laboratory Services is involved in the diagnosis of infectious diseases, the monitoring of chronic infections in immunocompromised children, the investigation of outbreaks and hospital acquired infections, and the reporting of antimicrobial susceptibility results to guide antibiotic treatment. 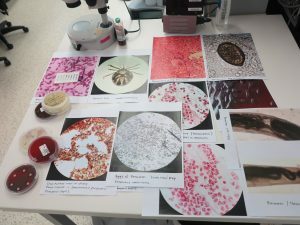 Currently, the microbiology lab is seeing increasing cases of children with uncommon infections, reflecting the complexity of patients managed at the hospital. They are also documenting emerging antimicrobial resistance in both community and hospital patients and are working with teams across the campus to support the hospital’s antimicrobial stewardship program. The microbiology lab also plays a role in the diagnosis and management of Ebola and other pandemic infections affecting the community. Thanks to philanthropic support, the microbiology lab has access to new technology which is shortening the turnaround time for results. This means that patients receive earlier targeted treatment and, in some cases, can prevent the need for admission. 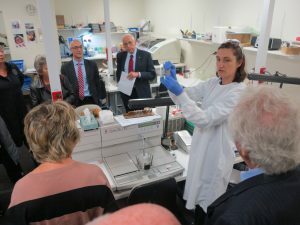 Following the lab tour, RCH1000 members returned to the RCH Foundation for an informative lunch hosted by Barry Novy OAM. 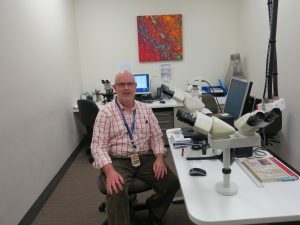 Barry shared the RCH1000 has raised more than $3.7million, all of which has supporting cutting edge research programs led by the RCH and Murdoch Children’s Research Institute. Barry noted that, while this was an incredible achievement, there is still more to be done. 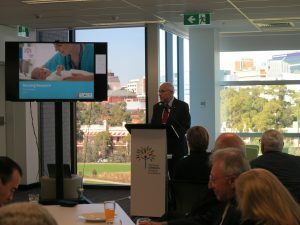 Remarking that research is the key to transforming the future of children’s health, Barry shared that it has also been the cornerstone of the RCH since the very beginning. 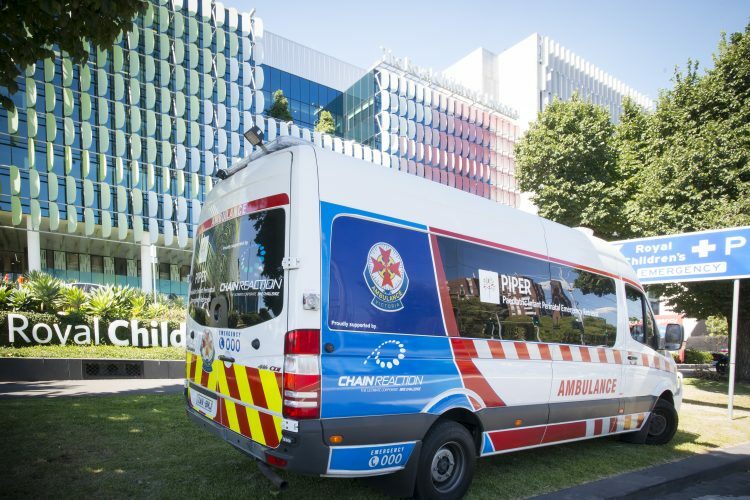 From the establishment of the medical research committee in 1836, to the discovery of the Rotavirus in 1973, research has played a critical role in ensuring the RCH can provide world leading care not only to its patients, but to children across Australia and around the world. 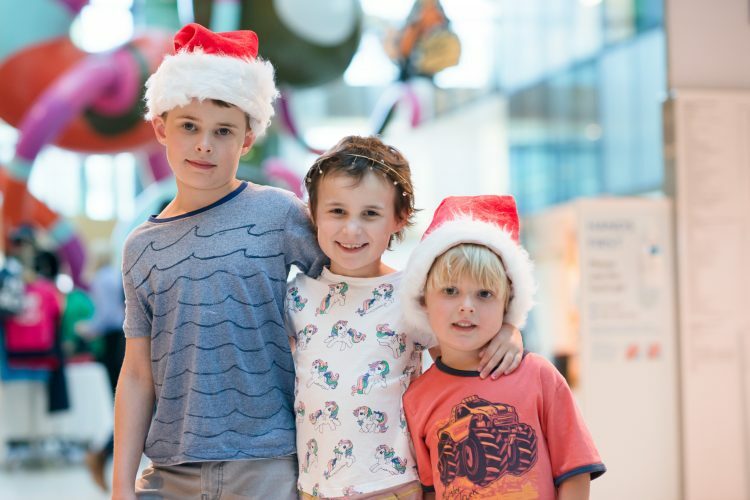 Thanks to the support of philanthropists like RCH1000 members, world leading research at the RCH continues, with mini kidneys being grown from stem cells in a dish, and the establishment of the Australian Genomics Health Alliance. Barry closed by stating that all RCH1000 members have a responsibility to ensure the RCH can continue to make ground breaking discoveries so that future generations have the greatest chance of a full and healthy life. Barry then introduced Professor Fiona Newall, who shared how her team assists nurses with taking questions they have identified in practice and turning them into research projects. Professor Newall began by sharing a bit about the history of nursing and highlighting the story of Florence Nightingale. When doctors had finished for the evening, Florence pioneered new insights into infection prevention and control techniques to minimise hospital based mortality and morbidity. Professor Newall noted that, while the ‘art’ of nursing values the human soul and seeks to provide comfort and relief from pain, it is underpinned by efficient nursing assessment. Florence is universally recognised for her powers of assessment and the significant contribution she made to improve the ‘science’ of nursing. This initial information became the platform for a PhD thesis entitled Bedtime stories: sleep problems for children with cerebral palsy and their parents. This study has three phases. In the first phase Sacha, the nurse researcher, interviewed parents of children with cerebral palsy who have sleep problems. 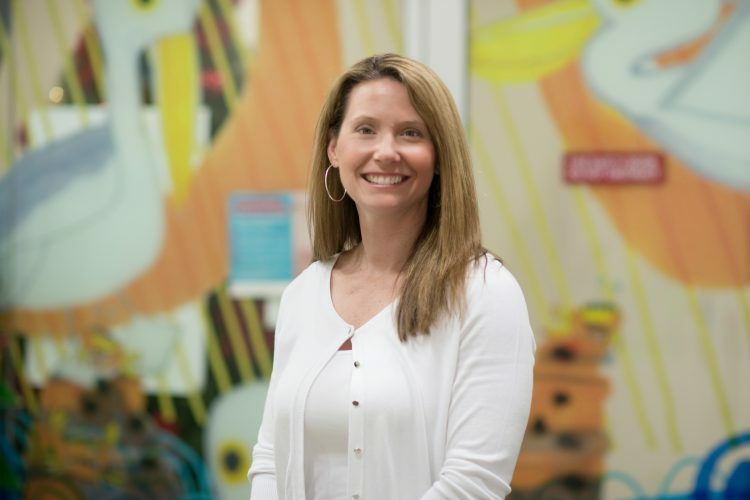 The interviews highlighted that sleep problems are complex, finding help from health care providers is challenging, and that the impact of sleep problems is significant for the child, their parents and families. Phase two involves an online survey, which is about to be launched to 700 Victorian families. This phase aims to capture previously unknown data about sleep problems for children with cerebral palsy and their parents. Information obtained through this survey will inform interviews to be conducted in phase three. The aim of these interviews is to obtain a deeper understanding of the kind of sleep challenges reported via the survey. Ultimately, all the information obtained from the three phases will be used to design a parent informed intervention to assist with sleep problems. This PhD is expected to be completed in April 2019.